Correct - not too much else to go on to determine if it's hd, bluray, etc. is that a bug from xbmc or from neon ? when i go to the fanart/poster menu and i select manually a poster/fanart/clearart and download it, i will kicked back to tv-series-menu. stoli Wrote: Correct - not too much else to go on to determine if it's hd, bluray, etc. BTW, how do you create sets? for sets, you can do it via the NFO files, but I prefer using XWMM as a web interface on XBMC and use that to create the sets. Overall the logos work great, but for some reason one logo is not working. For the TV show "Blood+", the logo downloads okay, I can see it in the show folder, but it won't display in the skin. Could it be because of the "+" in the name of the show? The TV Show folder name must be exact as the scraped one. Top left text seems to be off center in music & videos (top - bottom). Top left in weather is oddly placed. Text in music thumbnail view needs an outline, glow or drop shadow so it can stand out from the background. Nightly XBMC running Git version of Neon. Added support for Random TV/Movies/Music on home page. The Random Items script may report an error, but it still seems to work. Thumb nail view looks good now but the fix has affected all other music views. Top right in weather is still out of place. Info: Nightly XBMC running Neon SVN. Haven't updated the Git version yet. Oops. Will fix later - forgot a <visible> condition. first, i love the NEON Skin! A new Navigation Link for Audibooks. Then you can set a source where all the Audiobooks are and set a scraper. And then you can listen to them. 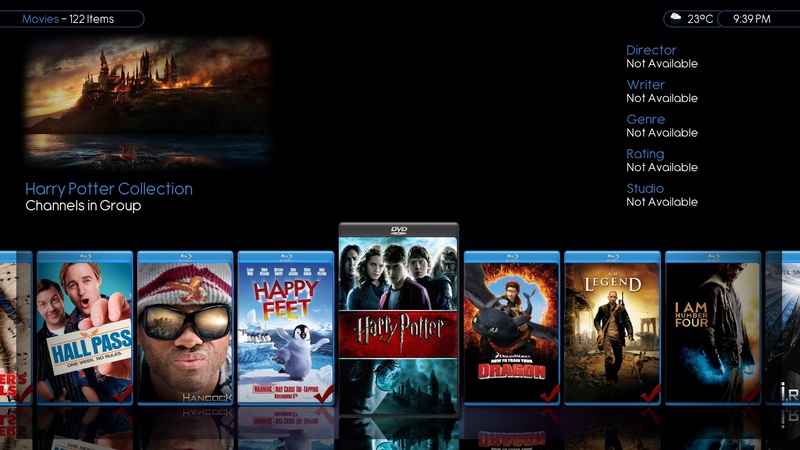 But, when you pause or stop a file, xbmc should remember where it stopped (liked in the movies) and should continue as soon as you click the file again. I am not sure if the "skin" has to "learn" it or xbmc itself. For some reason now I am not able to see the media flags for Dolby or DTS on movies. They are visible using Confluence. Nightly XBMC running SVN Passion repo version of Neon. kyotocafe Wrote: For some reason now I am not able to see the media flags for Dolby or DTS on movies. Should be fixed in the next update.